Enjoy the tranquility of being received in the airport by a Friend, who will care and deliver You streight to your hotel or appartment streight and a fair price. Get a clean Car, with a huge capacity (over the standard) to fit You and your luggage. I created this page for a Friend driver of mine because he is absolutelly trusty and responsible, he owns his taxi and work with all the legal permissions and insurance requirements. You don't need send any money in advance. The Buenos Aires Airport, named Pistarini or Ezeiza is at 19 miles (30 kms) from downtown. 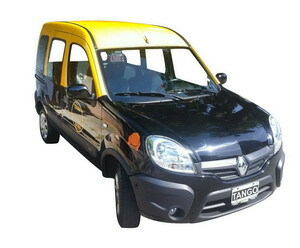 You can pay only US$ 49,90 for the transfer EZE-Buenos Aires, hiring one of the whole-day private tours I offer. For know more about the tours, you can see more of this web site here or streight contact me. The transfer from the Airport to the city You are visiting, is in any trip your first experience with a new country, even a new culture. Please be sure of get a nice first step here in Argentina.